Chelsea FC crest and away-game colors show your team pride. Nike VaporKnit technology combines lightweight cooling, reduced cling and precision fit. Quick-drying, high-stretch yarn provides flexible comfort. Open-knit structure in key areas increases airflow. Raglan sleeves eliminate shoulder seams so your arms move freely. 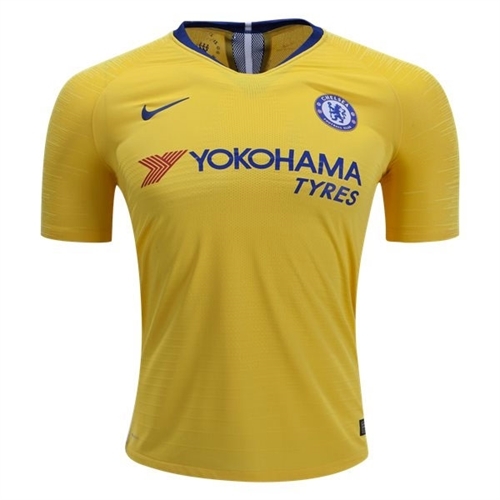 Our Nike Chelsea Authentic Away Jersey 2018-2019 is what the Blues will wear when they touch and move when they are not at Stamford Bridge. 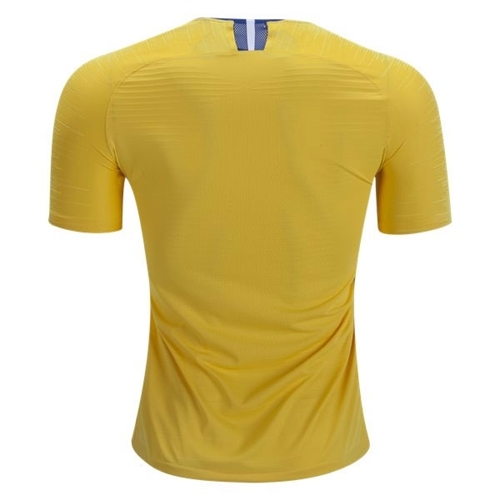 Like the one from their home kit, this shirt features Nike vaporKnit helps you stay dry and cool.